A two-story wooden house with the first floor planks painted white and the second story painted brown. A chair and a stool stand on a step leading up to the open door on the side with a stone wall in front of a one-story addition. Plants grow up the front of the house and a white two story attachment is on the right side of the house, in the back of the photograph. 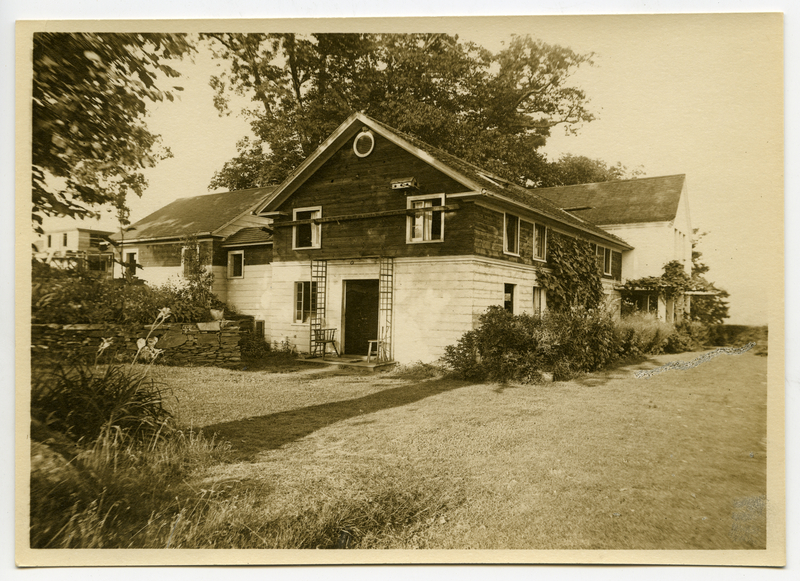 Johnson, Clifton, 1865-1940, “House of Maxfield Parrish,” Digital Amherst, accessed April 24, 2019, http://digitalamherst.org/items/show/3544.